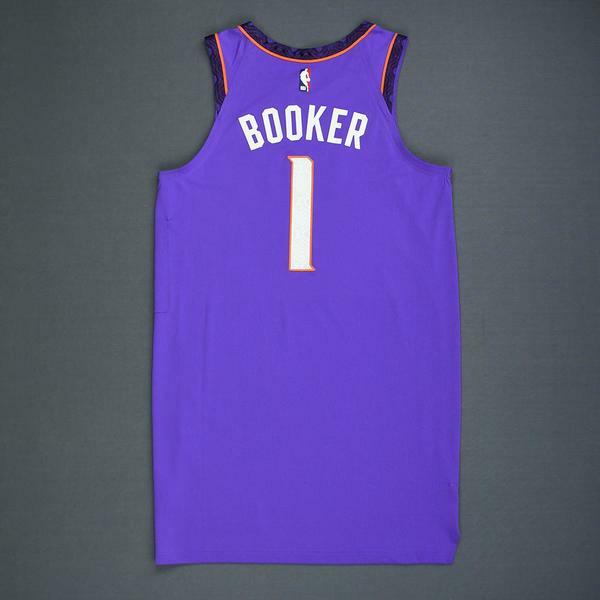 The NBA and MeiGray are proud to offer fans and collectors across the globe the opportunity to own a piece of history... a jersey prepared for use in a game during the 2018-19 National Basketball Association regular season, by #1 Devin Booker of the Phoenix Suns. 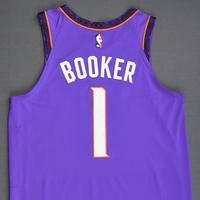 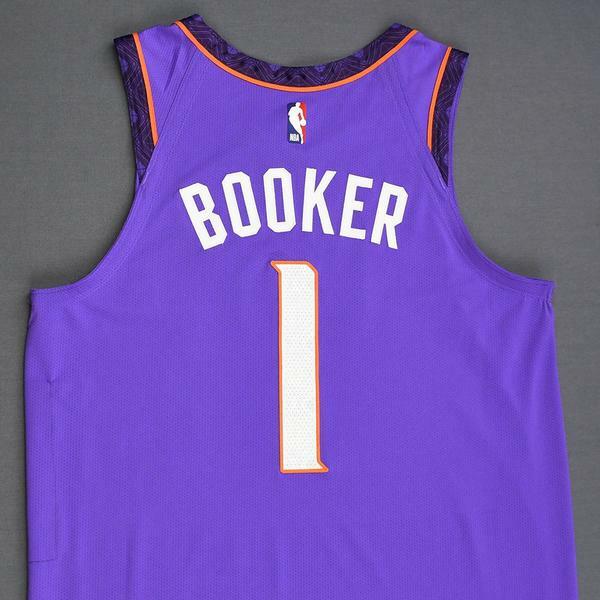 Booker was to have worn this jersey for the Suns' 99-85 loss to the Orlando Magic on November 30, 2018 at Talking Stick Resort Arena in Phoenix, AZ. 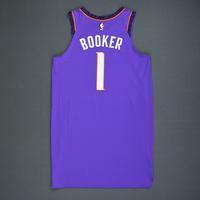 He was not active for this game. 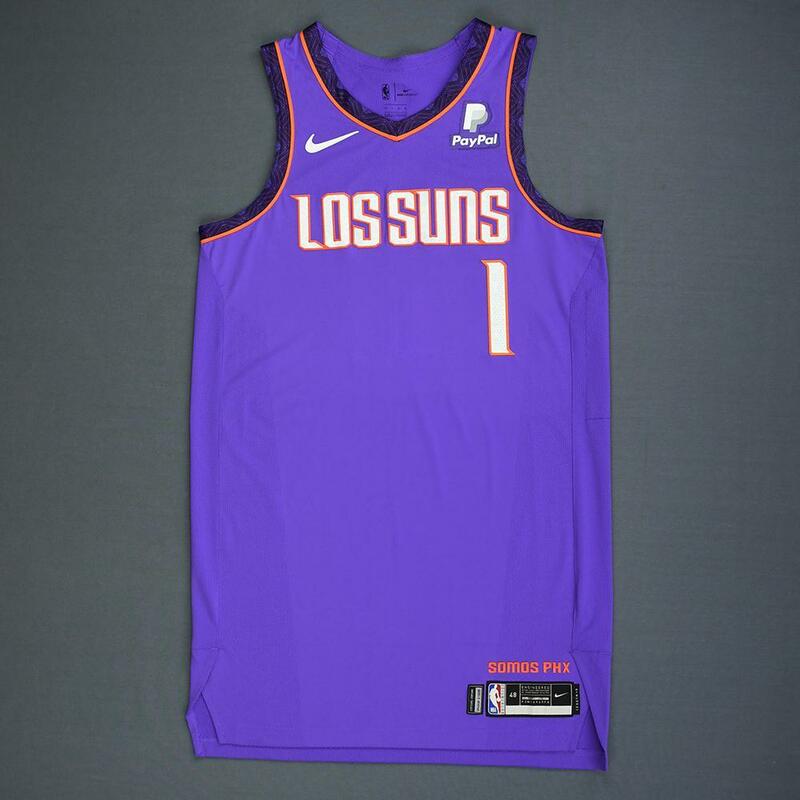 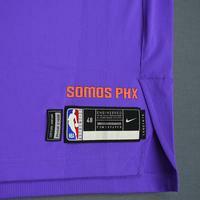 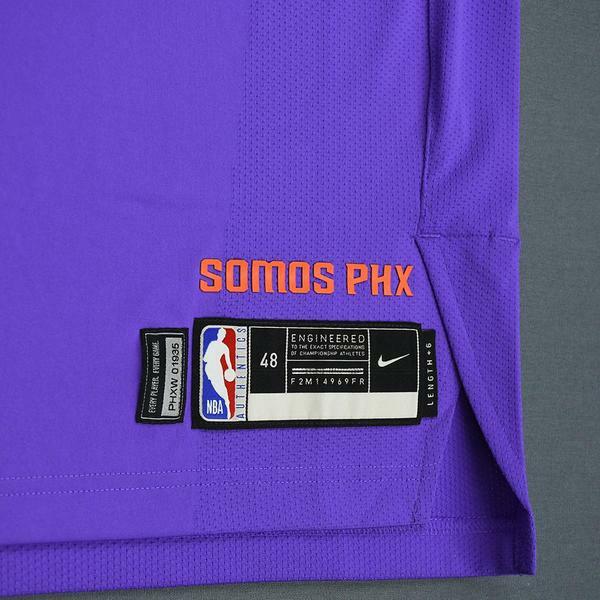 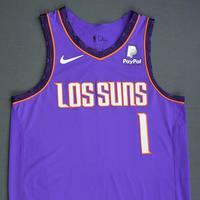 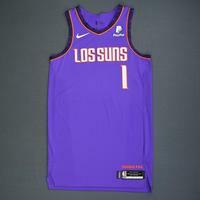 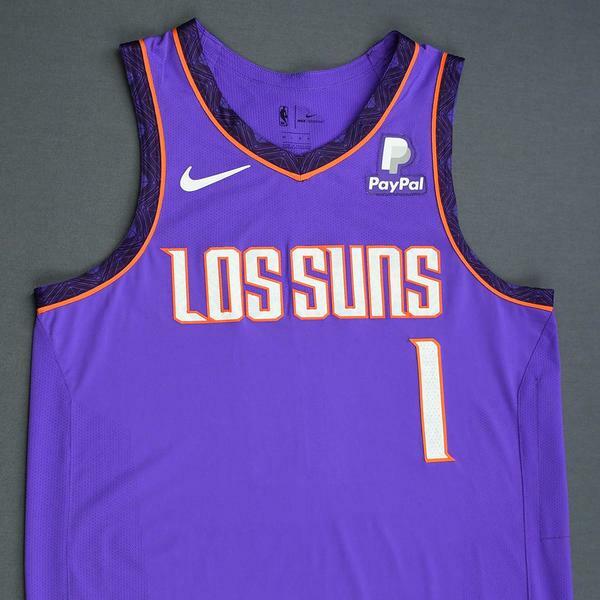 This purple jersey, a Size 48+6 inches extra length, is registered into the NBA and MeiGray Game-Worn Jersey Authentication Program as number PHXW01935.